What is Playful Learning Center? Playful Learning Center is a living lab where researchers, educators, teacher education professionals and businesses come across. We enable the co-development of innovative, educational, game-based learning solutions that foster creativity and the joy of learning among all learners and teachers. How can I contact PLC?
. You can contact us in English or in Finnish. We are lead by a team of inspirational and committed individuals with diverse expertise. The leadership of our center is managed by a board. Each project of the center is lead by different directors. Read more about the team. To whom is PLC meant for? 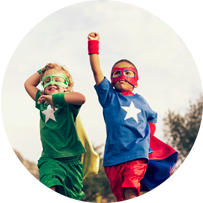 PLC is meant for people, who are interested in playful and game-based learning solutions: educational researchers, students, game entrepreneus, educational start-ups, teachers, you name it. Feel free to contact us with any questions. I have an idea that I would like to share with PLC? How do I proceed? Contact us by email (plc-helsinki@helsinki.fi) and we will reply you as soon as possible. What role do TEKES and Rovio play within PLC? 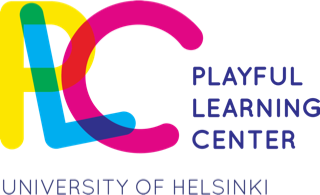 PLC is funded by TEKES and one of our playful learning lab is designed by Rovio and their collaborators.